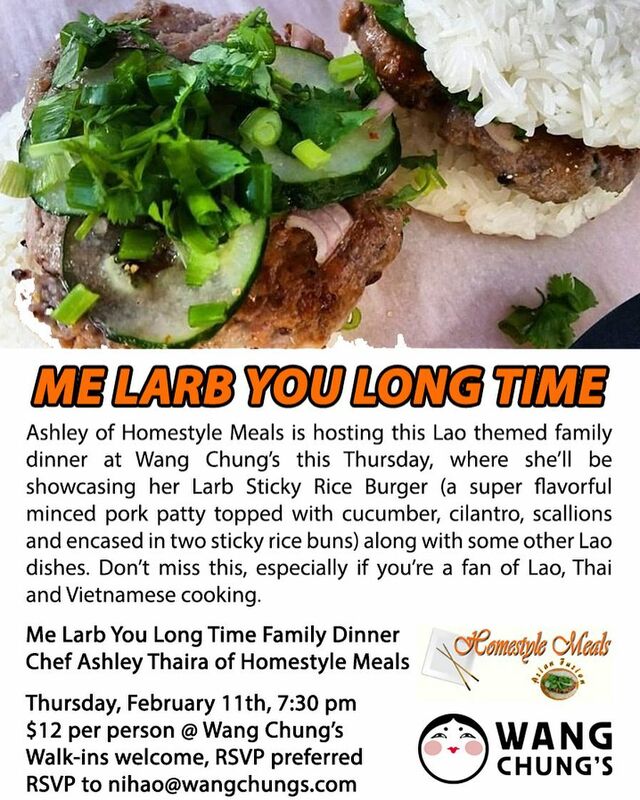 Join us for the “Me Larb You Long Time” Family style dinner #wangchungs this Thursday, Feb 11th. 7:30 pm. $12 per person.